Fortnite fans will be pleased to discover that playing the Battle Royale game online on Nintendo Switch consoles will not require a paid subscription to Nintendo’s Online service. The details of the service were revealed as part of Thursday’s Nintendo Direct announcement. Access to the online features of many Switch games will cost a $3.99 / £3.49 / AU$5.95 monthly or $19.99 / £17.99 / AU$29.95 yearly fee. Nintendo’s official FAQ states however that “Some games, such as Fortnite, can be played online without a Nintendo Switch membership.” The game, which is also free to download and play with integrated voice chat therefore constitutes one of the most popular free to play games in the Switch ecosystem. 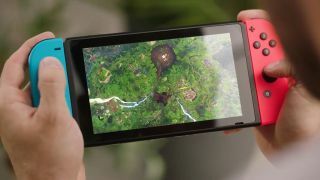 In addition, Nintendo revealed several new titles for the Switch, including Luigi’s Mansion 3, Cities: Skylines and classic Final Fantasy titles. Launching from September 18, the new service will provide subscribers with access to online features in the majority of prominent Nintendo Switch titles such as Mario Kart 8 Deluxe and Splatoon 2. Games which require the subscription to access online features will be appropriately marked in the Nintendo eShop. The service will also offer paying members access to a library of NES games, as well as access to voice chat across titles and exclusive offers on other Nintendo products.